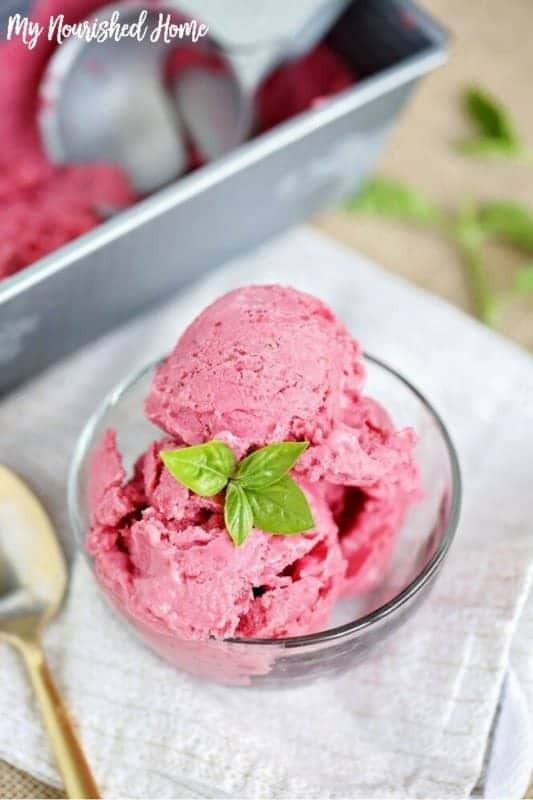 Raspberry Nice Cream couldn’t be easier to make but it is delicious… and the perfect kind of refreshing you want in the heat of summer! Every summer, my kids (and my husband and I!) really look forward to summer. We fill the summer with parties, barbeques, the beach and time at the neighborhood pool. Our girls love to swim and the neighborhood pool is where we meet up with some of our favorite neighbors. Since all the kids started school, that circle has expanded quite a bit. It used to be that Jeff and I would plan to meet people – now, instead, my kids are making the plans and we are trying to keep up. These days they definitely know more people than we do! The problem with all this pool time… Is that interrupts our regularly scheduled dinner programming. Which is at a table. Generally with vegetables. And does not include ice cream every meal. Summer at the pool includes way more eating on the fly. Generally picnic style at the pool. With waaaaaaaaaaaaaaaaaaaay more ice cream. My kids and husband also love ice cream. (Though my husband is more disciplined than the rest of us. <— show off. 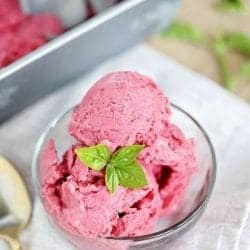 Thank goodness my kids think this healthy Nice Cream recipe is sherbert. 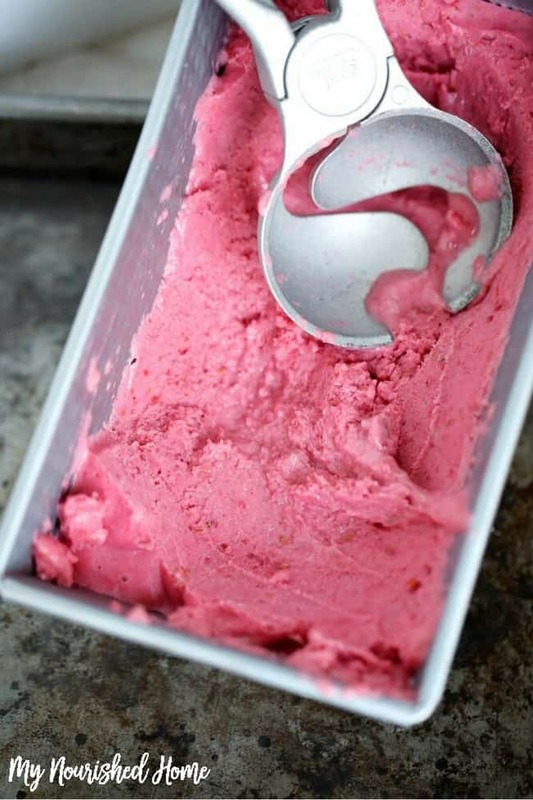 <— yes, we love sherbert too. Thank goodness for me that it is easy to make and take to the pool! 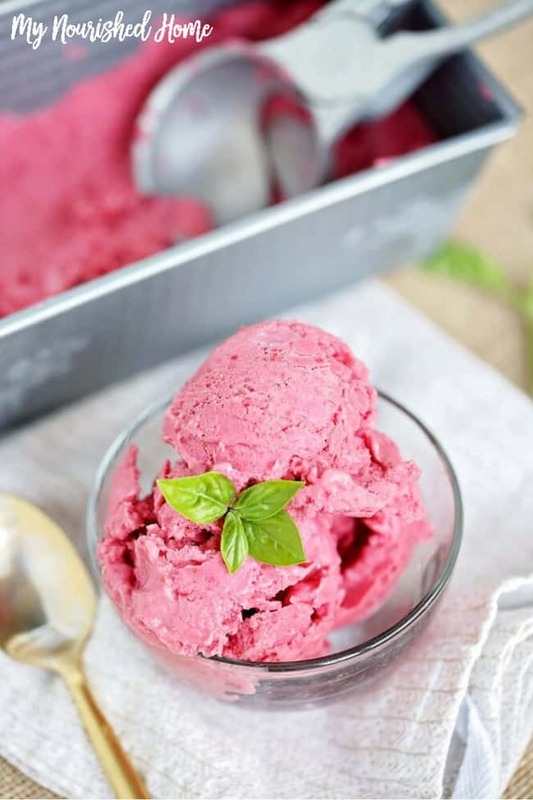 We are certainly not planning on giving up our summer ice cream… but mixing in a few rotations of a healthier treat makes me feel slightly better about my waistline. <— inhales mommy pooch and stands like a bikini model. Happy summer! 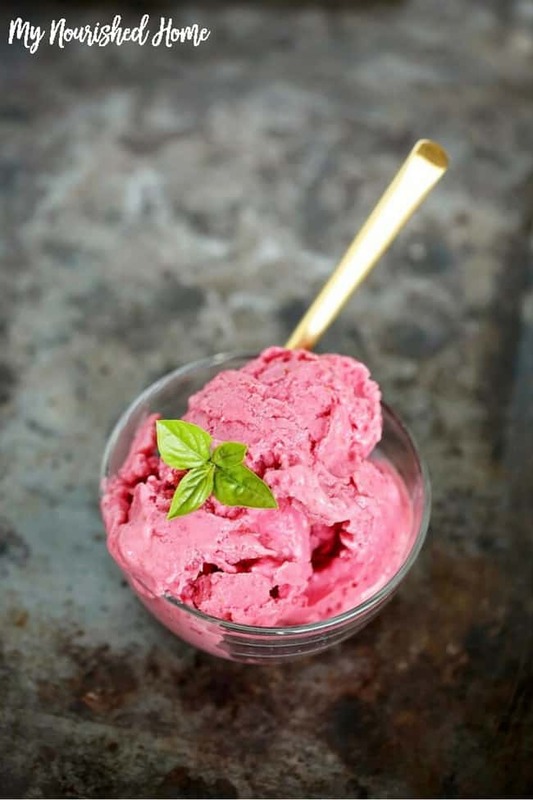 Show us your Nice Cream on Instagram! Pulse until evenly and thoroughly smooth. Pour into a bread pan or tub of your choice.